David began playing bridge when he was a teenager, partnering his grandfather, who played a lot, against his mother and grandmother, rather reluctant third and fourth respectively. It was a game that interested him straight away, and over the intervening years he has been learning more and more and developing that interest into a real passion for the game. He studied for a degree in Music at Royal Holloway, University of London and for a Master’s in Choral Conducting at Birmingham Conservatoire, where he also sang as a choir member and soloist with the Conservatoire’s critically acclaimed Chamber Choir, recording two CDs with them during his time there. 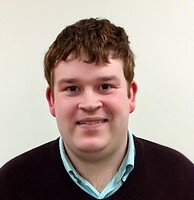 He has also sung as a Lay Clerk in the choirs of Birmingham Cathedral and Durham Cathedral. Whilst working and studying as a musician, he played at bridge clubs in Surrey, Derbyshire and Durham, acting as a committee member at Ringwood Bridge Club, who supported him in becoming a Tournament Director, and at Durham Bridge Club, where he also got involved with teaching beginners and sharing his love for the game. It is that aspect of using his passions to try and share them with others that attracted him both to conducting as a musician and to the position of Education and Youth Officer for EBED. 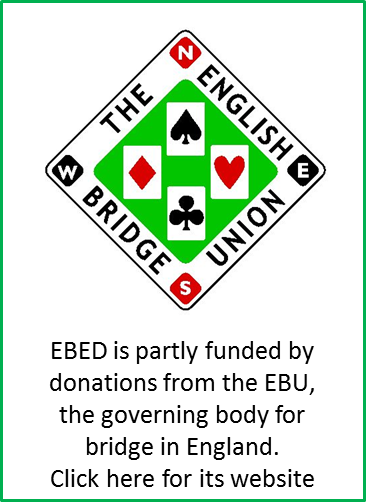 He is very excited to start working on growing and developing bridge in this country, and also to be moving back to an area he knows quite well, having grown up in South Oxfordshire, not so far away from the EBU’s offices in Aylesbury.